Through constant innovation, Flexo Wash offers a diverse line of highly advanced cleaning equipment for narrow and wide web printing. 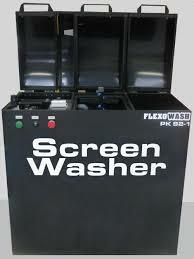 Flexo Wash, LLC is the leading provider of Flexo Wash cleaning technology in North America for the flexographic and gravure package printing industries, providing special equipment and cleaning solutions to deep clean anilox rolls, doctor blades, printing parts and plates in an environmentally safe process. The result is improved print quality, an extended lifetime of press parts and a quicker change over time on the press. Flexo Wash is the only company in the industry that offers a money-back guarantee. Flexo Wash’s fully automatic anilox roll cleaners are designed to deep clean and restore anilox rolls or gravure cylinders in all sizes and line counts. The quick and gentle cleaning process leaves the anilox rolls totally clean and ready for immediate use after 10-20 minutes of cleaning, without causing damage to the rolls and ensuring a constant and high print quality for a long time. 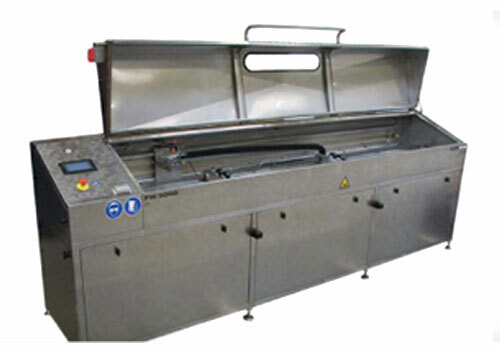 The Flexo Wash anilox cleaning systems work with environmentally friendly cleaning liquid, which is specially made for deep cleaning of rolls with all types of ink. A separate built-in tank is available on some units. Our Sleeve Wash units are designed to wash rubber sleeves, laser-engraved print sleeves, as well as plates mounted on sleeves in only 5-10 minutes. Our unique technology combines the use of our cleaning solutions, brushes, high-pressure water and compressed air to ensure a gentle and efficient cleaning of the sleeve, no matter which type of ink is used. Our fully automatic Plate Washers are designed to wash printing plates gently and leave them 100% clean and dry, ready for immediate use. The Flexo Wash PK 92 Rotary Screen Wash cleans rotary screen cylinders from printing machines using UV-drying screen inks. The screen cylinders are placed on rotating holders. Specially designed jets on both sides of the cylinders ensure a thorough cleaning. The machine requires minimal cleaning solution, which is circulated with an air-powered diaphragm pump. The pump is filtered and circulates in a closed-circuit system with no waste. Total wash time is about 10 minutes. A timer controls the wash time and is adjustable from 1-100 minutes. 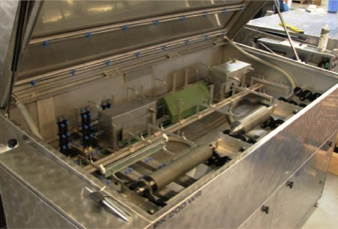 Our fully automatic washing units are designed to wash ink trays, doctor blades, anilox rolls and other removable press parts that are used with water-based ink, solvent-based ink or UV ink.